When it comes to a business, point of sale system plays a crucial role in the businesses. The POS stands for point of sales were your customer makes the payment for the goods and services purchased from your firm. Basically, a point of sales happens between the buyer and the sellers when a product or services is purchases. A point of sales system is used to carry and complete the transaction. On-premises is a traditional method in which one needs to buy one or more licenses beforehand for the software. It is mandatory for the individuals to install the software on the servers, it should be updated and maintained regularly. In case of a larger organization, it is important to hire a dedicated IT professional to manage and maintain all the data. These are the high-end cloud-based point of sales system which can provide complete support via the internet. Even if the internet goes down, you can easily keep a track of the sales by syncing up and taking backups once you are online. Here are the top features which you must look for a good point of sales system before investing in one. The best POS system by wisesmallbusiness.com should provide easy navigation to all the products and services; it should be done via a single hit button. The customer quick has easy access to the catalogue and should be able to perform a quick search when needed. The best way to have a successful store is to come up with excellent return policy. This is the only best choice to gain audience attention, people look to shop where the policies are friendly. The POS system which helps you to come up with an easy return policy where the customers will be provided with flexible options to return, replace or get refunds for the item. If you are not the only person who is operating the system, you should have multiple users accounts for the people working for you. The access and permission can be different based on business needs. You should definitely look for this feature in the POS system before finalizing one. This feature which helps you to create sales goals and keep a track on it. The technology is growing, almost all the customers are making use of a smartphone in their everyday life. Hence, it is important for the business to look for a POS system which is mobile friendly and allows mobile registration. It should work seamlessly for other devices like tablets and traditional desktops. For every business, the customer is the king, the interface of the POS system should be friendly when it comes to navigation, payment gateway and to carry transaction. When a customer faces any issues and addresses it, solve it on the priority basis. The POS system should offer a high level of transparency to the customers. If you are managing an inventory management system, the POS should be able to manage the barcode printing so that every product is easily trackable. If the stock is been stored in one or more different location, it is essential to keep a track of it. The stock transferring feature in the POS system will help to keep a check on the item transferred between the stock inventory into the stores. 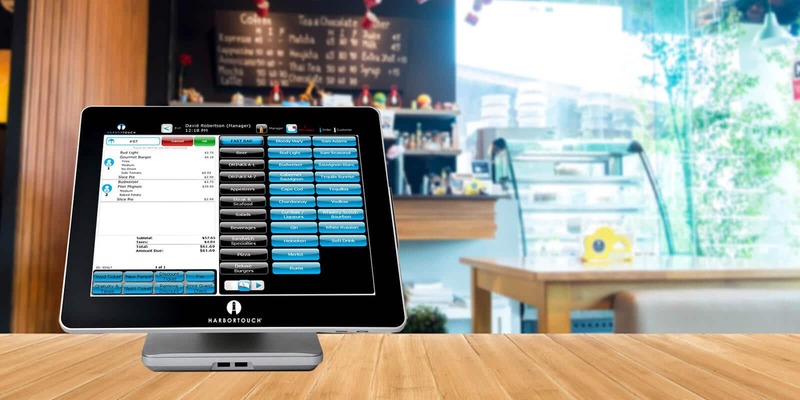 Here are the common types of POS system which are in demand. It is a fast, easy and credible choice to manage the bars and restaurants. This works really well in busy hotels and bars where it is crucial to keep a track of the system since multiple transactions are carried every minute. It comes handy to manage the retail shops, keep a track of inventory, the size, color of products, gift registration, promotion code, managing customer databased, purchase order etc.